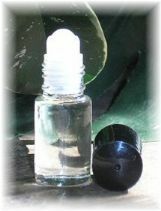 Convenient roll-on fits neatly in a purse/pocket for quick applications. NO animal by products and never animal-tested! *All designer fragrance "types" are trade marked names and are the exclusive property of the original manufacturer.